Enjoy the game! Glad Dandy is feeling better! New computers! Love 'em, hate 'em! Never could afford a Mac and I'm no Windows fan so it's Linux for me. I’m with Michelle in the Mac camp. Stil, new computers are a challenge. 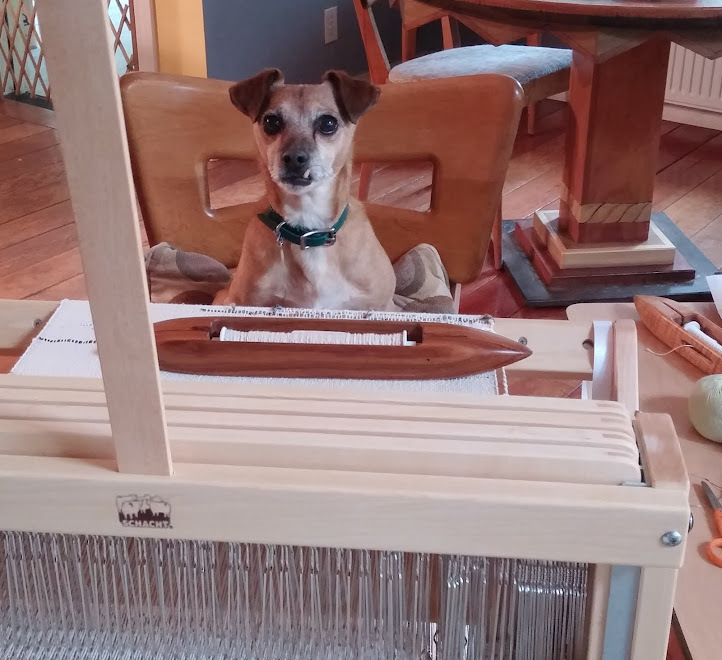 Looking forward to seeing your creations, and your 4-legged crew, next time. Guess I am with Michelle - Once a Mac fan Always a Mac fan! Yes, the Pats won but even I have to admit it was an ugly, boring game. Brady played poorly and it was really the defense that won the day. They should just do away with half time shows. I listened to one of the current books on my phone and took a little walk instead. I changed phones, and that had been enough PITA for me. I dislike football so didn't watch. Actually don't even know who was playing except Maroon 5, who I love because of that wedding video, but mostly because the lead guitarist's sister won Project Runway. And now i'm sad because to me excessive tats are really a turn off, and some things you can't unsee. I'm glad that Dandy is feeling better.